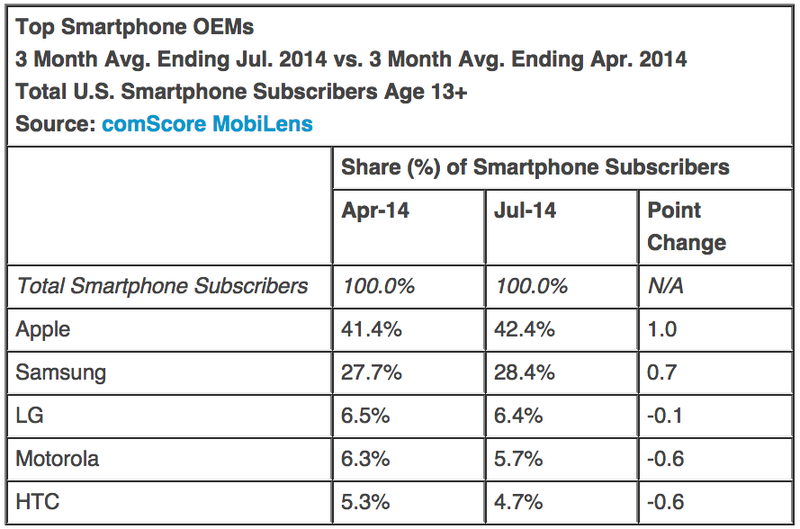 As the launch date of the iPhone 6 approaches, Apple sees an increase in U.S. smartphone market share. According to the statistics released by ComScore, the iPhone had 41.4 percent of the total U.S. smartphone market share in April. In July, the iPhone made up 42.4 percent of the U.S. smartphone market, gaining a total of one percent over three months. The company has made significant gains during the three month period which ended in July. In fact, Apple saw a greater increase in market share than any other smartphone manufacture. Samsung took second place growing 0.7 percent to 28.4 percent of the total U.S. smartphone market share. LG came in at third place with 6.4 percent, Motorola came in fourth with 5.7 percent, and HTC came in fifth place with 4.7 percent of the total U.S. smartphone market. 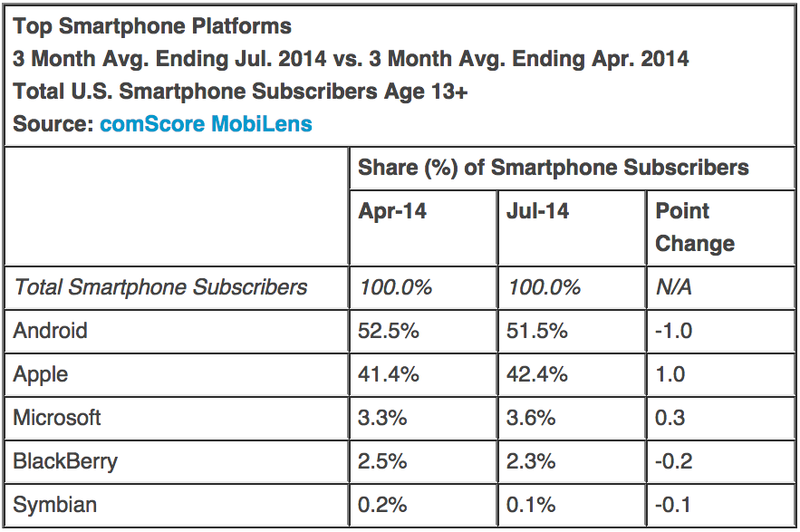 Despite the iPhone’s growth, Android still leads the U.S. market share for top smartphone platforms with 51.5 percent. Apple’s iOS came in second place at 42.4 percent. Apple is expected to launch the iPhone 6 at an event planned for September 9. The company’s next-generation smartphone is rumoured to come in two display sizes, a 4.7-inch model and a 5.5-inch model. 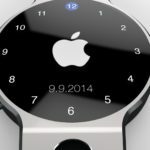 The iPhone 6 is said to come with a completely new design, Apple’s next-generation 64-bit A8 processor, 1GB of RAM, iOS 8, and a much improved camera with optical image stabilization.